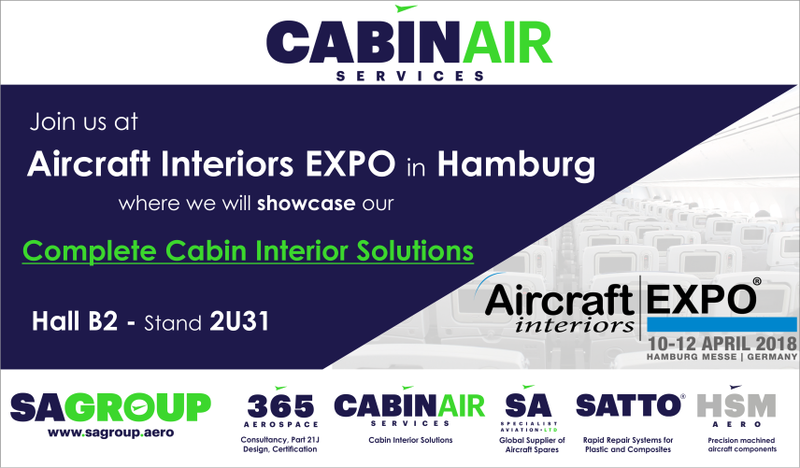 Cabinair Services will be back in Hamburg on 10-12 April 2018 at the Aircraft Interiors Expo. We will be showcasing our fantastic rapid repair systems for plastic and composite aircraft interiors and our range of complete cabin interior solutions. Come and visit us on stand 2U31 in Hall B2. If you want to book a meeting in advance with us, please email sales@cabinairservices.com.